Hi guys, TGIF! At least I'm thinking and hoping it's actually Friday haha. I'm pretty doped up on all the pain medication I've received from the doctors office. I'm feeling a bit better, at least I'm able to sit up. It's been killing me having to rest the past few days and not do all the nail stuff I've wanted to do. I'm a little bit behind my schedule so expect some double-posting from now until Christmas in order to be caught up. 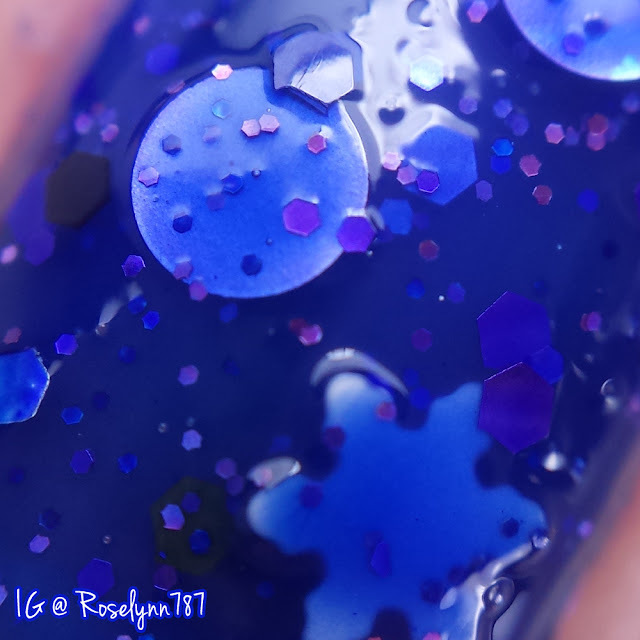 For today, I'm going to be showing you guys some polishes that were gifted to me by the lovely Angelyn from Doctor Lacquer. She's a total sweetheart, but more than that she's one of my personal favorite indie makers. 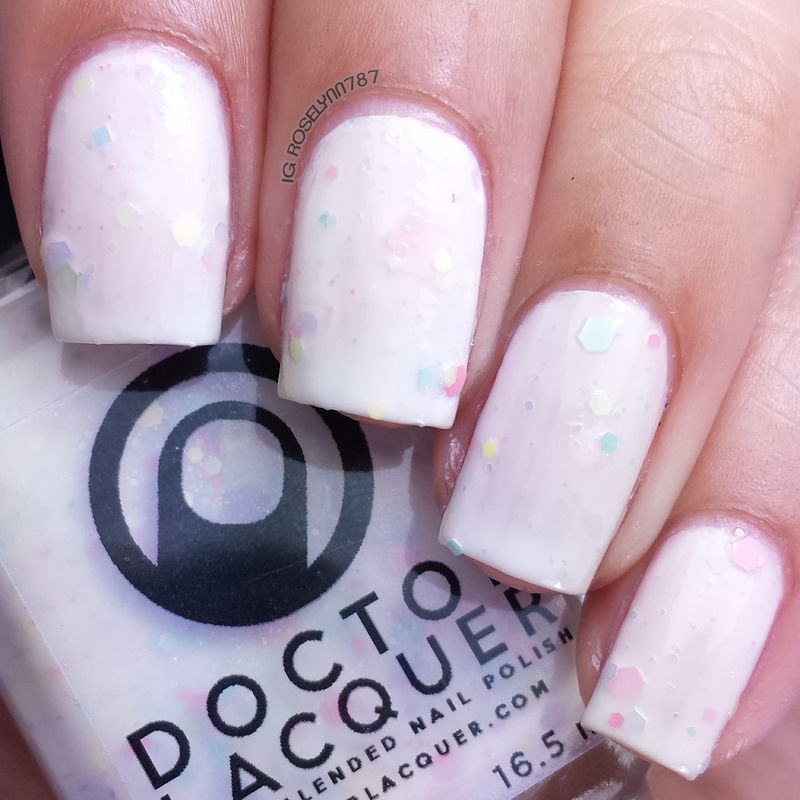 Unfortunately one of the three polishes shown here from Doctor Lacquer are sold out. The good news is the one of the three that isn't sold out is on clearance and only $5.00. 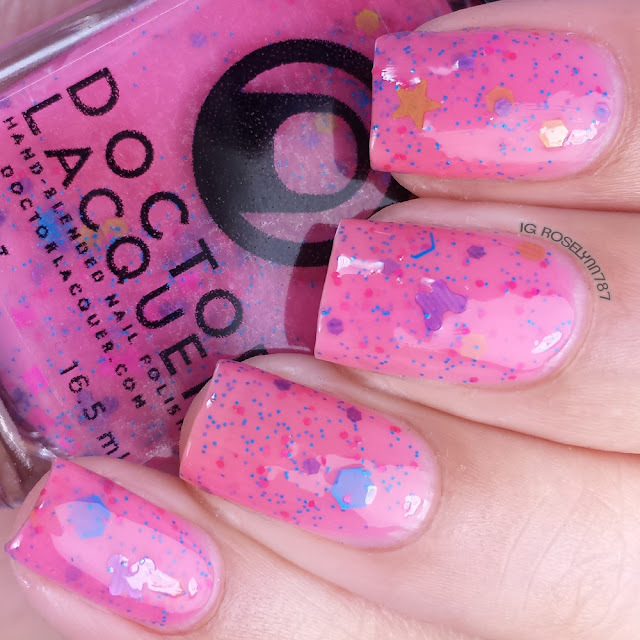 Perfect Lipstick is a bright pink crelly with multisized neon hexes, squares, stars and butterflies. I can't believe it took me so long to try this one out. 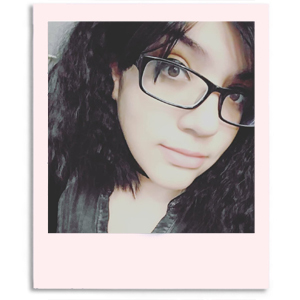 Usually I tend to shy away from pinks, but this one in particular compliments my skin tone very well. Formula and consistency are fantastic, didn't give me any issues to apply or layer. 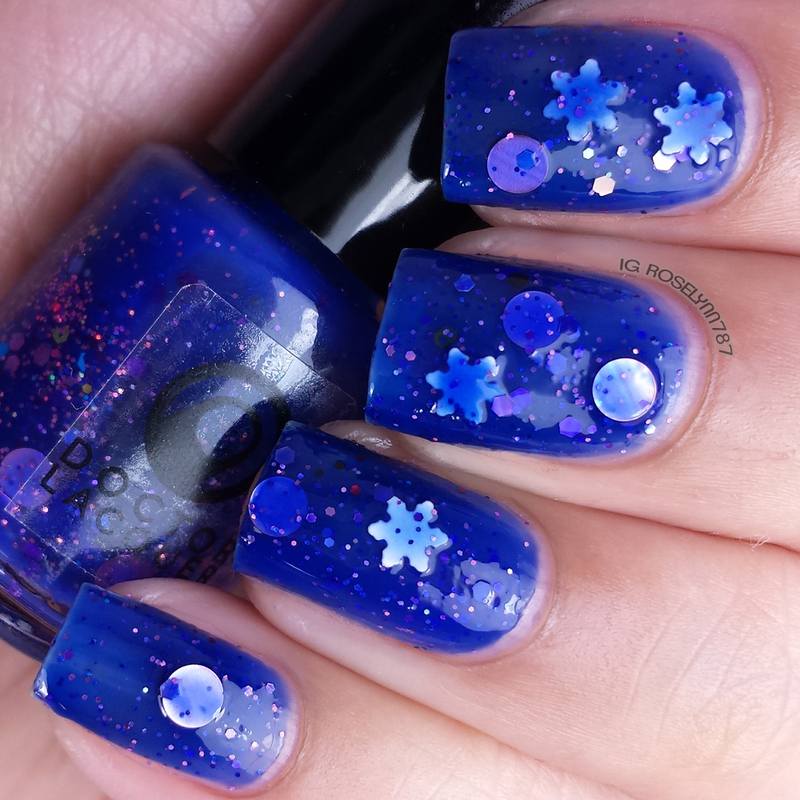 I also had no issues with fishing for glitters, there are so many in each brush stroke I had to put some back. 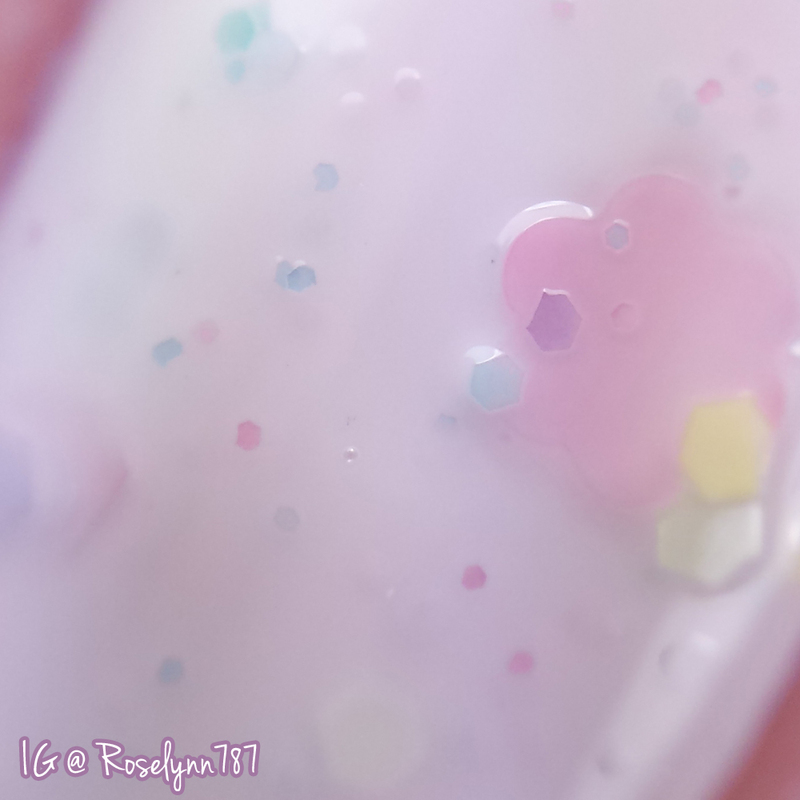 For these swatches, I used two thin layers over a clear base and sealed with a topcoat. Botany Plants Lately? is a milky white crelly with pink, yellow, and lavender flowers swimming in multisized pastel-colored hexes. You guys know me, I'm always a major fan of a white crelly. 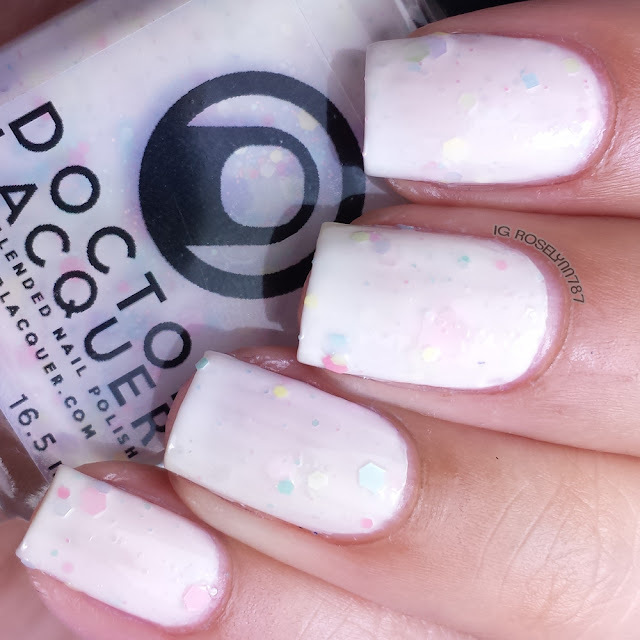 This one was initially released back in the spring so its full of cute pastel glitters. Formula is sheer in one single coat, but evens out quite nicely with three thin coats. Silent as the Night is a squishy deep blue jelly with multicolored hexes and squares and lilac dots. 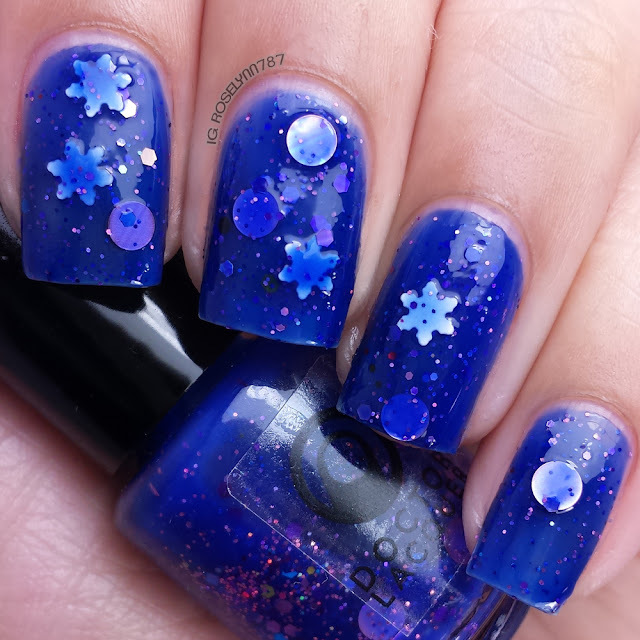 On release, this was available with and without the snowflake glitters. Unfortunately this lovely shade is already sold out and will not be restocked. But that doesn't mean we can't appreciate the squishy beauty. Formula and consistency were excellent, applied without any issues. 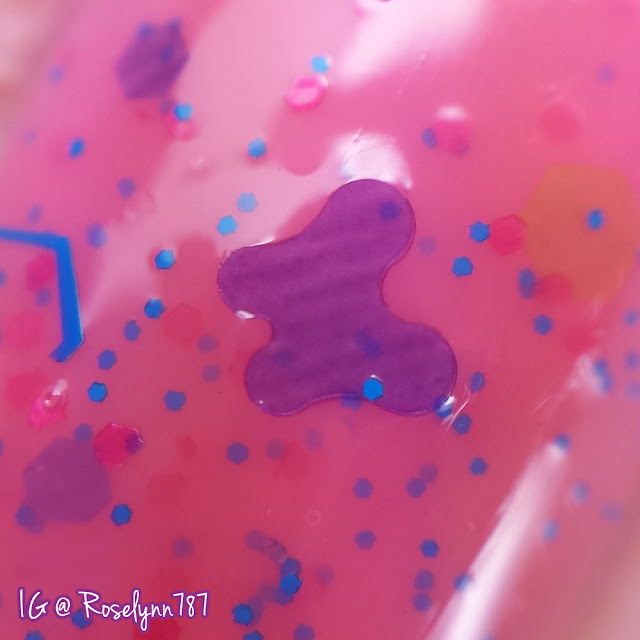 For these swatches, I was able to layer this with three thin coats over a clear base and sealed with a glossy topcoat. 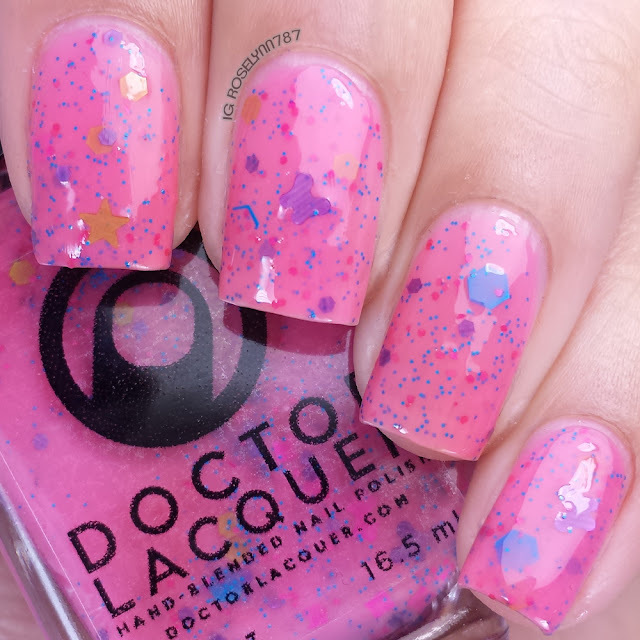 I think this post shows off some of the best formulas of Doctor Lacquer. Every collection is well-thought out with creative and interesting stories behind them. I think that's one of my favorite things about the collections released, seeing the inspiration behind each shade. There is a wide selection of polishes still available over at Doctor Lacquer for you to choose from, including the newly released Something Spatial. 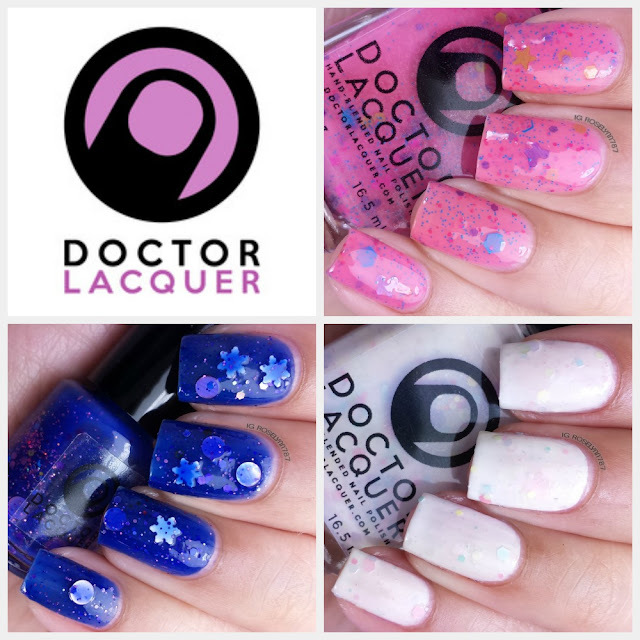 If you're not already make sure you follow Doctor Lacquer to be informed on up-to-date stock listings and new releases.